1. Solid Lifter Conversions Our lifters began development in 2000. Now available for a wide list of engines/applications. 2. Solid Race Tensioners A "spin-off" product, our tensioners complement our lifters to provide ultimate valvetrain control. 3. 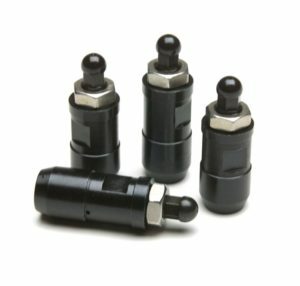 EGR Eliminators Our odd-ball product. Necessity breeds invention. Limited Diesel Applications. BLE normally ships FedEx Ground. Other Options available upon request. All prices are subject to change without notice. Current price lists are available. You can download the Retail Price List. All returned merchandise requires prior approval from BLE and an RGA# assigned by BLE. Returned merchandise must be in perfect condition. All returns will be subject to a 15% restocking charge. Product credit only is allowed. BLE will not issue cash refunds. All BLE products are high-performance / race components that do not carry any expressed or implied warranty. BLE Products is the culmination of years of passion, testing, & development of OHC engines and lifters, dating back to the early 1990’s. Officially established in 2005, as a division of BigLen Co, our genuinely race-bred BLE Product Line offers high-performance products to the hard-core racing and street performance enthusiast, backed by the R&D of BigLen Co's motorsports operations. BigLen Co is a Miami, Florida-based engineering, manufacturing, & project management consultancy, founded in 1998. BLE Products has undergone extensive on-track testing with our Sport Compact NHRA Championship Drag Racing effort, Team BigLen, to develop and bring to market the all-new Solid Lifter Conversion Kits for many of today's OHC & DOHC technology engines. Until the 2005 release of our first BLE application, the benefits of solid lifter high-performance engines were limited mostly to domestic OHV applications, with few exceptions. View our products link for more info. 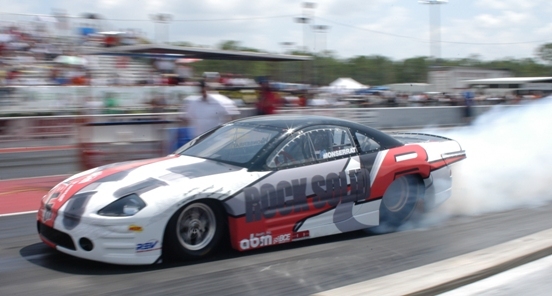 BigLen Co (formerly BigLen Engineering), owner & operator of Team BigLen, was originally focused on providing corporate clients with premier motorsports marketing services in the late 90's and early 2000's. This focus evolved into on-track product testing & development for clients within the automotive industry. This transition, coupled with the R&D nature of auto racing, helped spawn BLE Products. Visit our archived BigLen Motorsports website for some more background info. Necessity is the mother of invention. True in life & True in motorsports! In the quest for pushing the performance or horsepower envelope, most serious automotive performance enthusiasts would agree that "weak links" will be determined along the way. In other words, something is bound to break or hinder your progress. When that happens, it has to go! This was the case with the OEM hydraulic SLA's (stationary lash adjusters) found in the cylinder heads of our Mitsubishi race engines at the turn of the Millenium, almost 20 years ago. Yes, we said lash adjusters. That is the proper industry term. We just thought "lifters" had a better ring to it; not to mention a little muscle-car nostalgia! Although the SLA's were not breaking, they were failing to do their job efficiently & precisely. It was time to build a better mouse trap. We designed a solid-adjustable replacement part to fit the two Mitsubishi engine applications that were vital to our race program, the 4G63 & the 6G72 engines. After initial testing, we ran our engines for a few seasons, tweaking and re-designing to improve the part along the way. The horsepower & response benefits were considerable enough to keep these parts confindential and in-house use only. After all, if winning races was easy, everybody would be doing it.